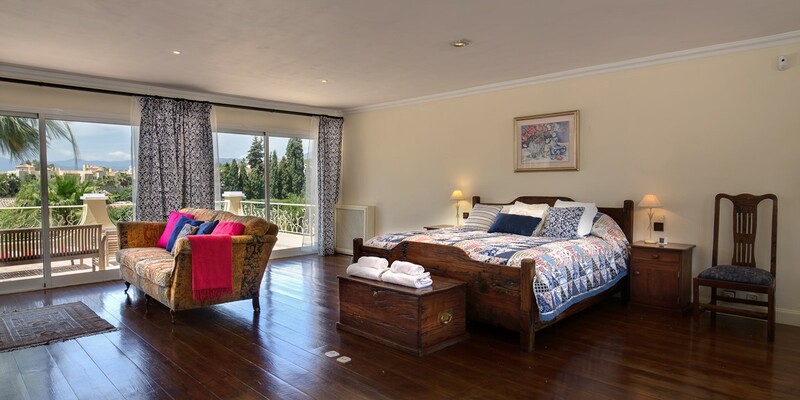 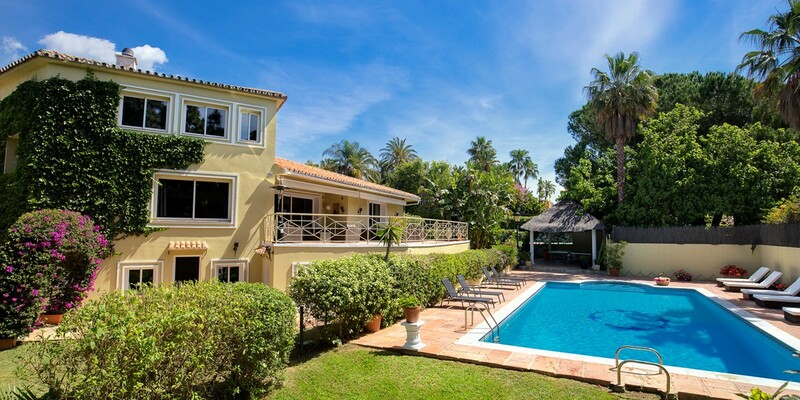 A beautifully spacious fully air-conditioned five bedroom villa set in large grounds with private tennis court, and walking distance to Marbella town. 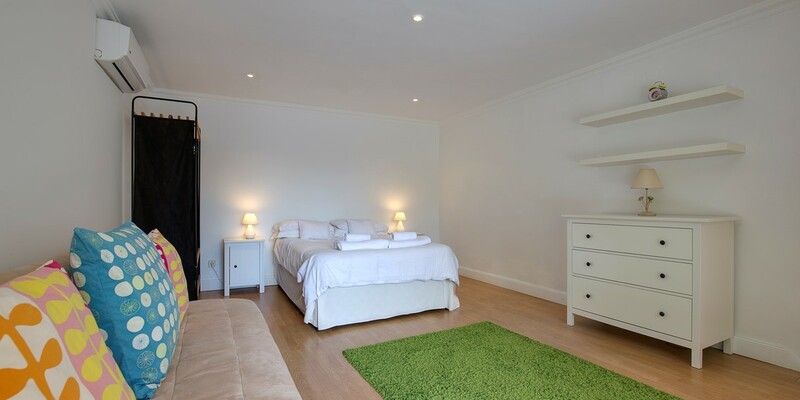 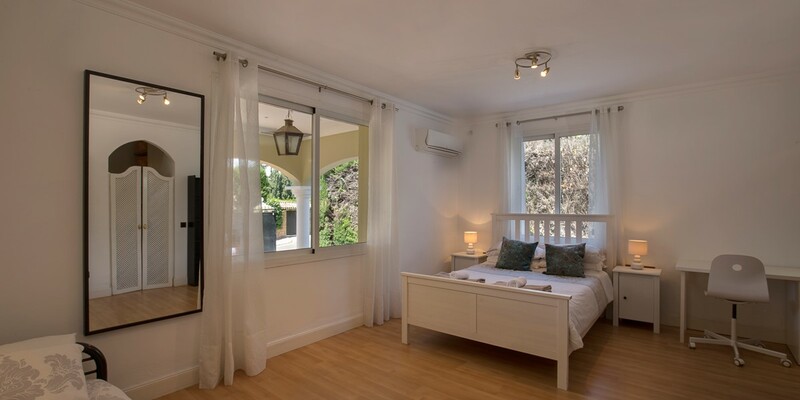 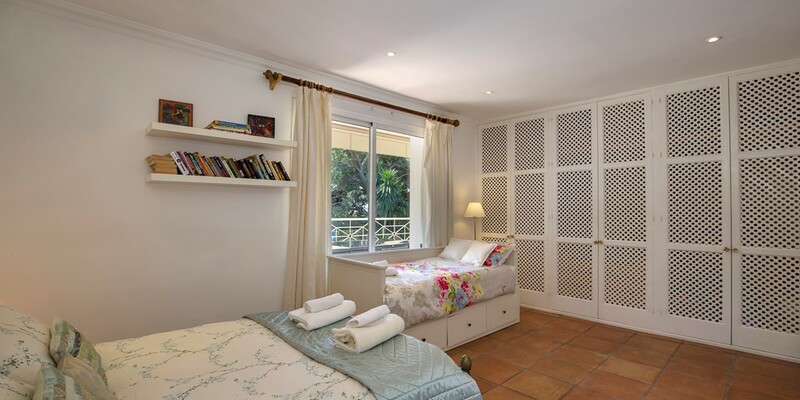 All 5 bedrooms are generously appointed, the master bedroom a fantastic 100 square metres with a lounge area, a mini library and its own private terrace. 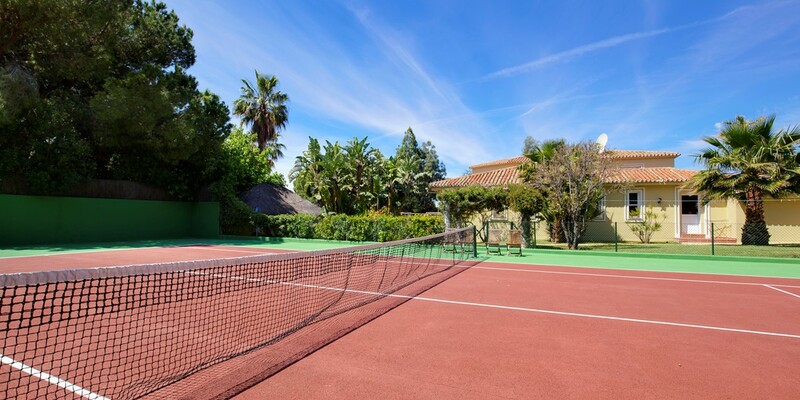 The grounds incorporate a 12-metre heated swimming pool fully fenced off with a thatched pagoda plus a full sized private tennis court. 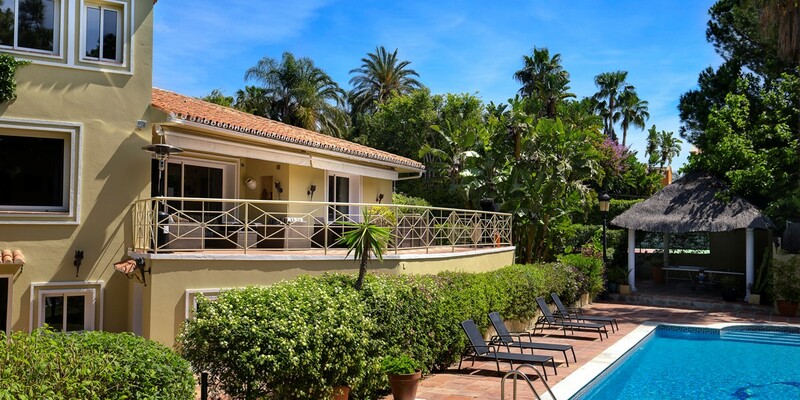 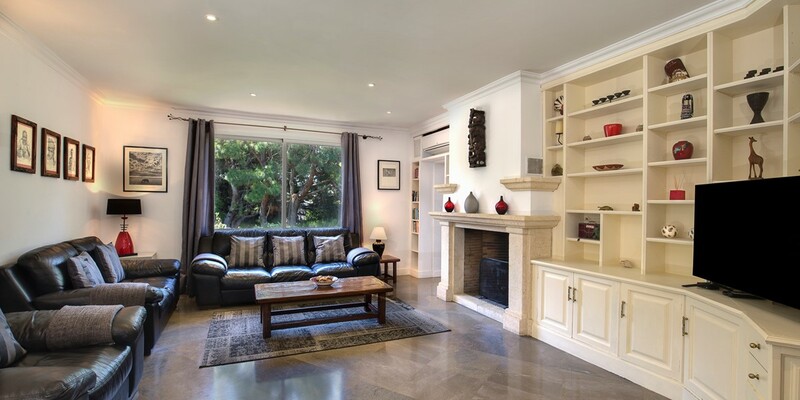 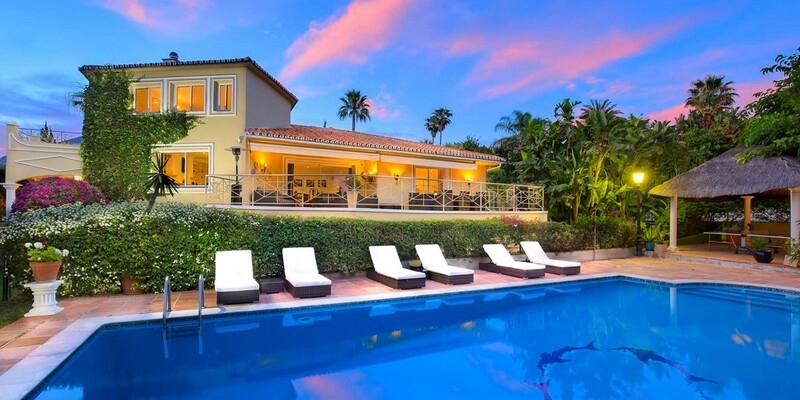 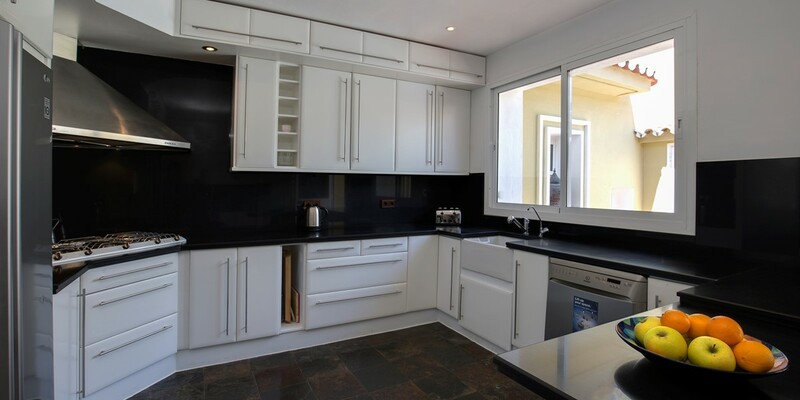 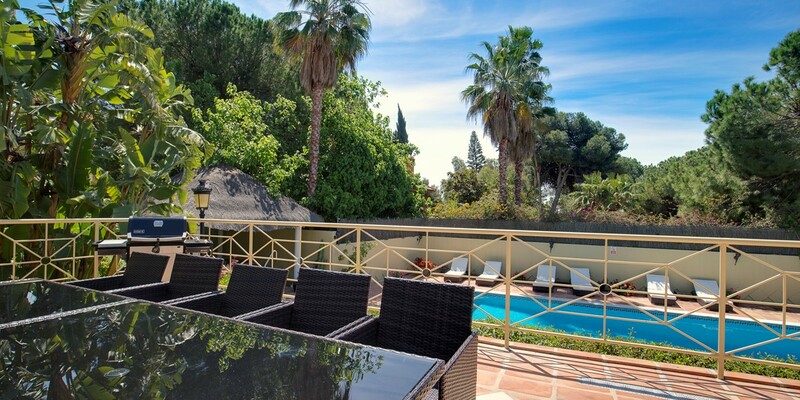 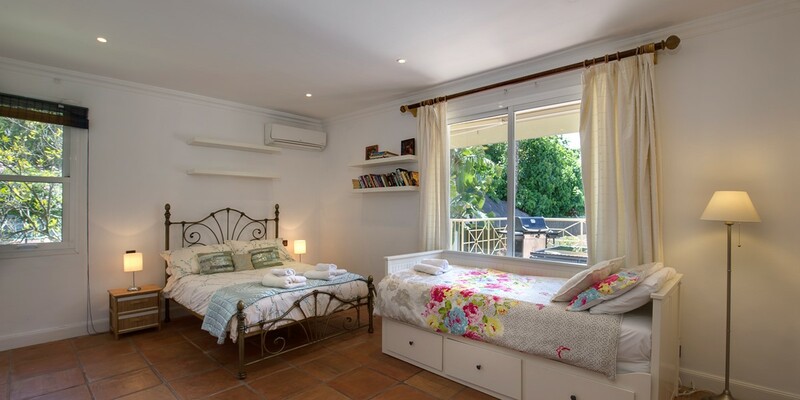 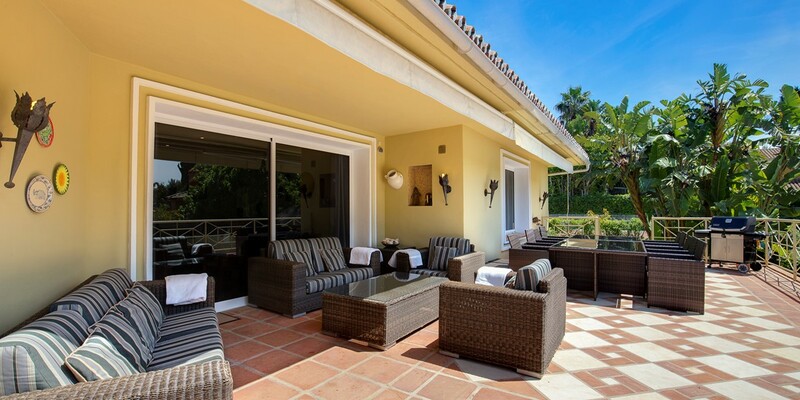 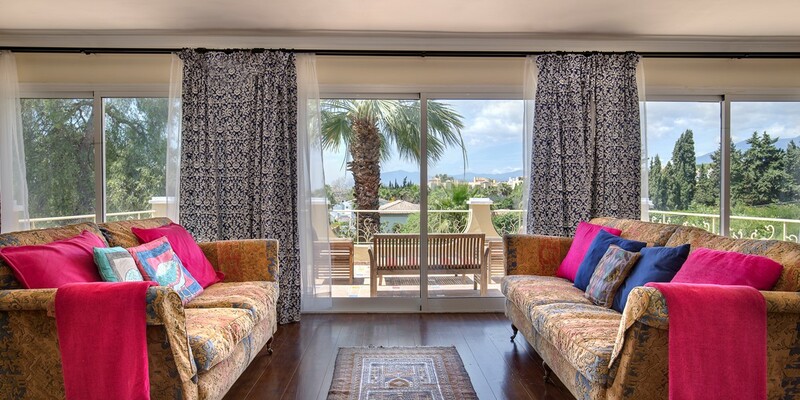 This superbly maintained property benefits from being literally a 10-minute walk into the heart of Marbella town where it meets the well-known Golden Mile. 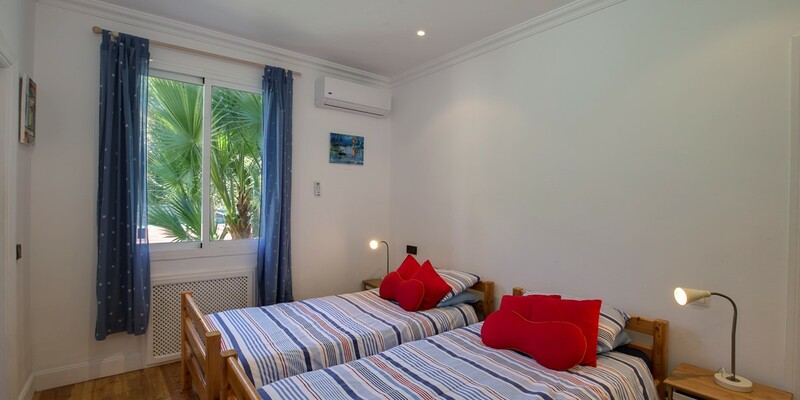 Here you will find an abundance of restaurants, nightlife, supermarkets and a further 3-minute walk gets you right down to some of the best beaches along the coast. 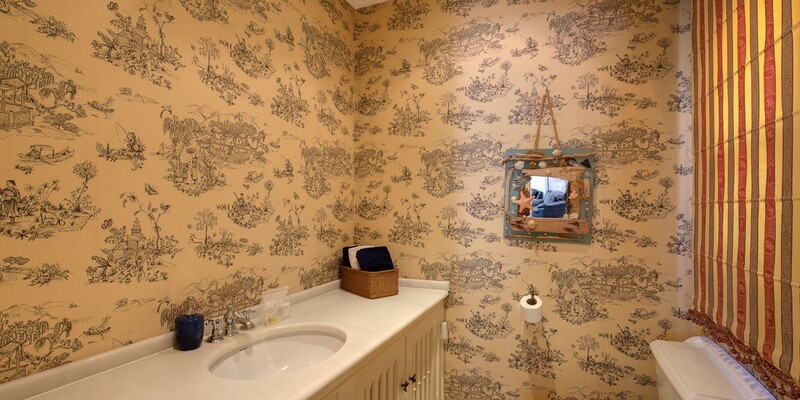 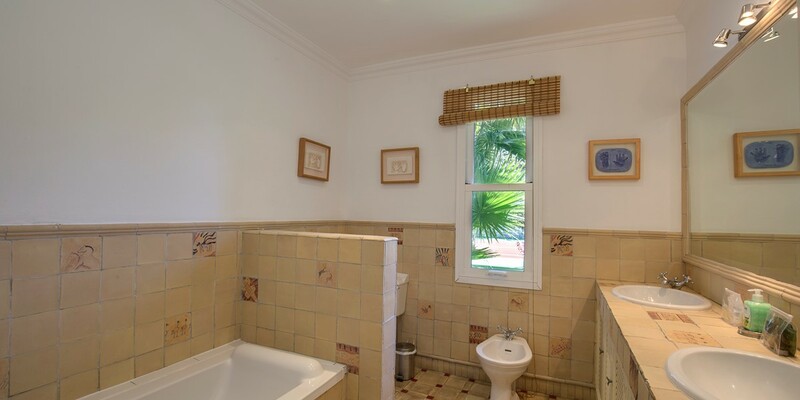 The location of the property means that you have all of the above access, yet the property is set in a privileged location with peace and quiet, so you will always have complete privacy. 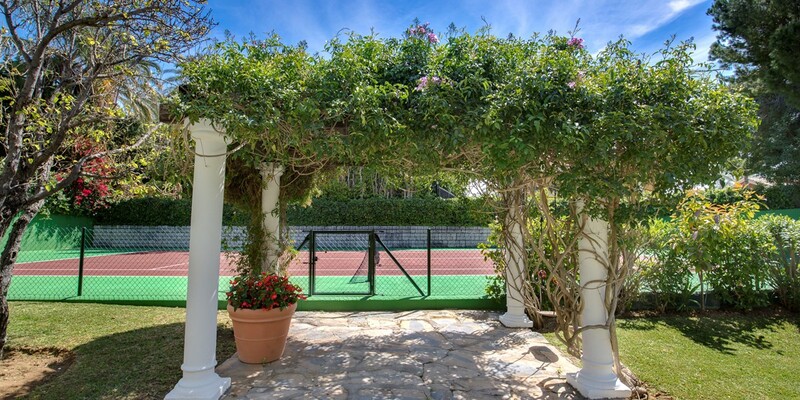 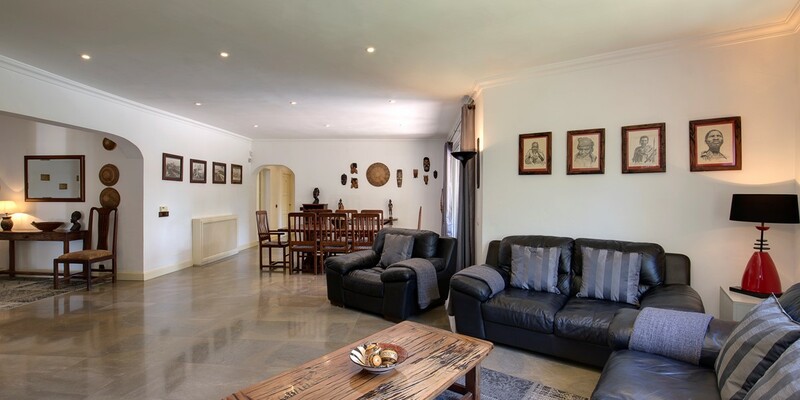 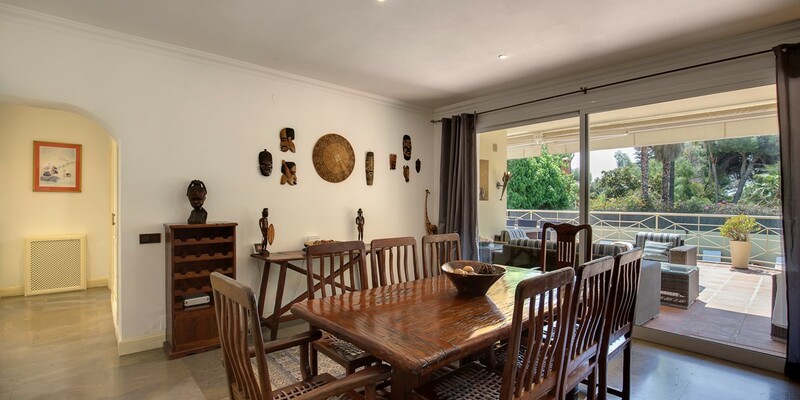 The distribution of the property allows for relaxed and easy indoor/outdoor living, allowing guests to enjoy the spacious living areas, together with the well-maintained garden and pool areas, not to mention the full-size tennis court. 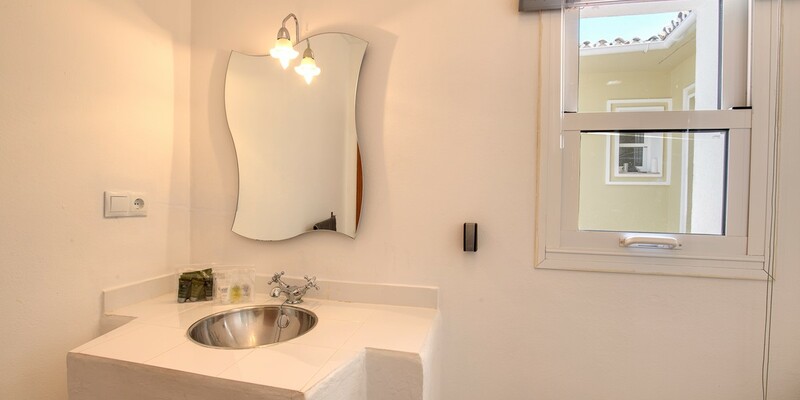 You will be the envy of your friends. 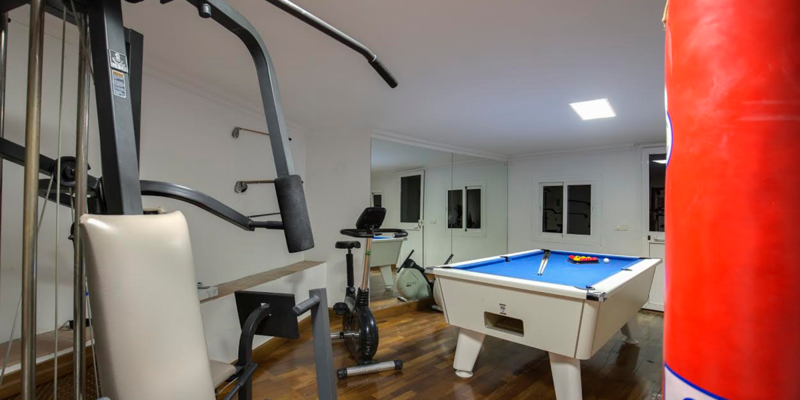 For the disciplined guests, there is also a gym, however the pool and table-tennis tables may distract you. 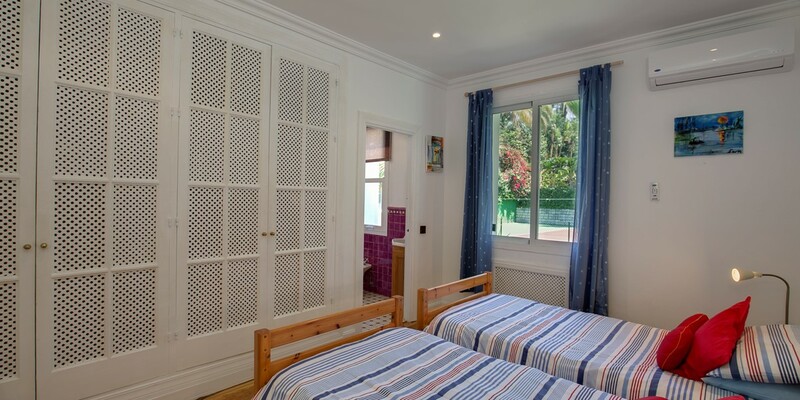 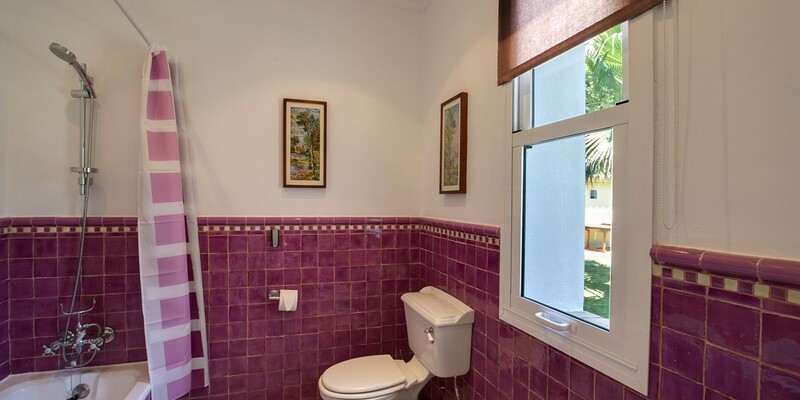 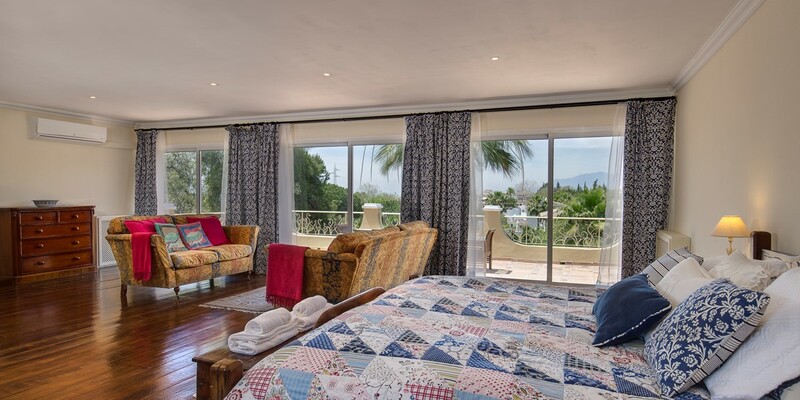 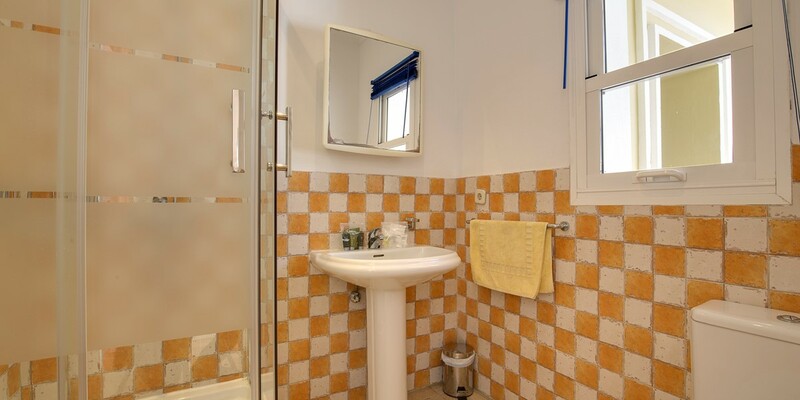 This is definitely a property where you will enjoy your holiday, being able to relax knowing that all the amenities you could think of, are within quick and easy reach.